Departing Suffolk & Essex - The Phantom of the Opera has some of the most lavish sets, costumes and special effects ever to have been created for the stage. At Her Majesty's Theatre, London. 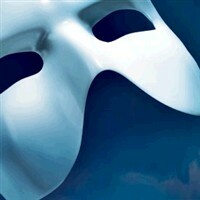 THE PHANTOM OF THE OPERA has some of the most lavish sets, costumes and special effects ever to have been created for the stage. Set within the majestic Paris Opera House, this haunting musical follows the tragic love story of a beautiful opera singer and a disfigured young composer living below stage. This compelling, award-winning production has woven its magical spell in over 110 cities worldwide. Note - 7th February departs Felixstowe. 15th June departs Stowmarket.